Hello Dealsnloot Readers,Get Rs 250 BMS Gift Voucher free on Gifting Rs 500 Flipkart or Amazon voucher or Rs 100 Dominos Gift voucher on Purchasing between Rs 250-499. Now Get Free Rs 250 BMS Voucher Or Rs 100 Dominos Voucher For Gifting Flipkart/Amazon Voucher.Udio wallet offer for free bookmyshow 250 rs loot.It is a Valentine gift voucher offer .Now you will Get Rs250 BMS Gift Voucher free for Gifting Rs. 500 Flipkart or Amazon voucher or a Rs100 Dominos Pizza Gift voucher on gifting between Rs 250 to rs.499 Amazon or flipkart vouchers.Grab This loot offer and earn Unlimited BMS Gvs. Firstly you need to Click here to download the udio app. After downloading, just install and open the app. Now Login or sign up for new account. After that ,Initiate to gift of Flipkart/Amazon voucher through udio wallet app. As offer is, If you gift Flipkart or Amazon voucher more than worth Rs.499 then you will earn Rs.250 BMS voucher & if you gift Rs. 249 to Rs. 499 Flipkart or Amazon voucher then you will earn Rs. 100 Dominos Voucher. So just gift a flipkart or Amazon voucher. And Pay the amount through Udio wallet only. This offer can be availed only one time per single user. Offer Valid till 13th February to 14th February. 1. The below mentioned Terms and Conditions are applicable for the “#GiveSomeGetSome” which would be referred to as ‘Offer’ or ‘Campaign’ hereinafter in this document. 3. These offers would be applicable only on the latest version of Udio Wallet App available on Google Play Store. Customers are advised to go to goo.gl/rOUuKV to check their version and update in case they are not on the new version. o A BookMyShow voucher worth Rs.250 (Rupees Two Hundred Fifty) shall be provided for 1st (first) successful voucher gifting transaction of Rs.500 (Rupees Five Hundred) & above during the offer period. o A Domino’s voucher worth Rs.100 (Rupees Hundred) shall be provided for 1st (first) successful voucher gifting transaction between Rs.250 (Rupees Two Hundred Fifty) & Rs.499 (Rupees Four Hundred Ninety Nine) during the offer period. 5. The offer is valid only on gifting Amazon & Flipkart vouchers using Udio Wallet. 7. The offer shall be valid from February 13, 2016 00:00:01 hrs to February 14, 2016 23:59:59 hrs. TranServ Private Limited (“TranServ”) reserves the right to change the offer-period and terms of offer without any prior notice. 9. The voucher shall not be credited instantaneously and would be credited only within 72 (seventy two) working hours of the completion of the successful transaction. 10. The Offers will be applicable for a Customer holding a valid and active Udio Wallet account. It is non-negotiable and non-transferrable and is valid for Indian residents and citizens only. 11. In the event of Udio Wallet account not having sufficient balance, wallet holders would have to first add money using Credit Card/Debit Card/Net Banking. 12. Only approved and validated spend/transaction/payment/purchase made using Udio Wallet shall be eligible for the Offers. Failed/Cancelled/Returned transactions shall not be eligible for the Offers. 13. The Offers cannot be combined with any other offer. 14. Only the transactions conducted in India and in Indian Rupees will be eligible for the Offers. 15. TranServ shall not be responsible for, or liable for, any actions, claims, demands, losses, damage, costs, charges and expenses that a wallet holder may suffer, sustain or incur due to this Offer. 16. These Offers are extended by TranServ and Customers may contact Udio Wallet Customer Care for any queries/issue resolution. 17. In case the general wallet balance has been processed for a voucher gifting transaction with a pending status, and has later turned into a failed state, the refund amount will be credited to the Udio Wallet. 18. 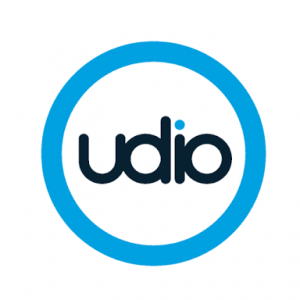 A Udio Wallet account is linked to a combination of unique customer details and a unique mobile handset. Any attempt to use multiple handsets for login to a single Udio Wallet account or using multiple mobile numbers to login via same handset will be treated as a violation of the T&C and Transerv will have full right, including but not limited to blocking such a Udio Wallet account and/or deny cashbacks or any promotional activities or any such corrective measures. 19. In the event of any individual/customer trying to use unauthorized data or fraudulent means or lost/stolen card data or indulging in identity theft or any other unscrupulous means for logging in to Udio Wallet, loading funds/utilising funds, Transerv will have full rights to block that particular Udio Wallet account. 20. TranServ is not responsible for any dispute arising between a Merchant and the Customer. TranServ shall not in any way responsible for any deficiency in services provided by the Merchant. 21. In addition to the above, the regular terms and conditions of the Udio Wallet shall also be applicable unless otherwise stated above. 22. Any disputes arising out of these Offers shall be subject to the exclusive jurisdiction of competent courts in the city of Mumbai (India) irrespective of whether Courts in other areas have concurrent jurisdiction.